Spencer has established a reputation as a dynamic and entrepreneurial conductor. In recent years, Spencer has been orchestral director for high profile events including concerts for the Queen in the ballroom at Buckingham Palace and the world premiere of Grammy award-winning singer Imogen Heap's 'Love the Earth' at the Royal Albert Hall. He also conducted the Mayor's Jubilee Band for the Queen's Jubilee Pageant on the river Thames. 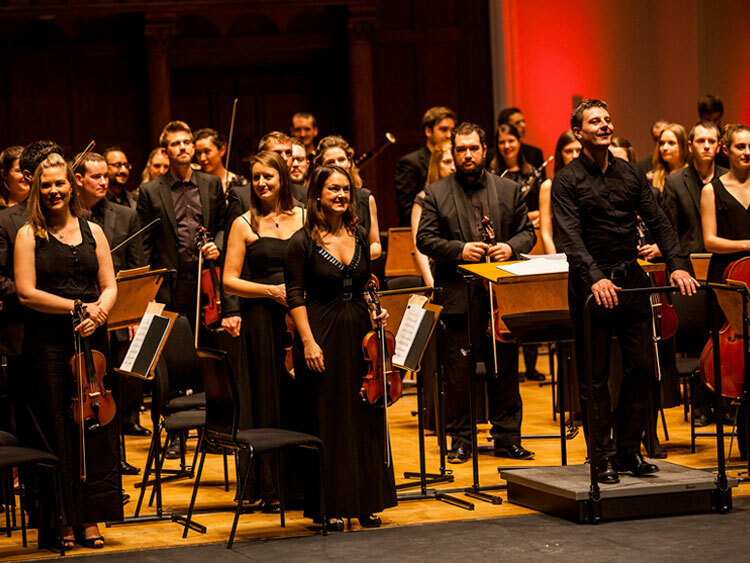 Spencer is Musical Director and founder of the Docklands Sinfonia, an exciting young symphony orchestra which has become a major cultural force in London's Docklands. He was inspired to set up the symphony orchestra in the Docklands by his grandfather – who worked as a shipwright in the docks and introduced him to classical music. In this role, Spencer has conducted collaborations with solo artists including trumpeter Alison Balsam, cellist Leonard Elschenbroich, soprano Elin Manahan Thomas, trumpeter Rex Richardson, saxophonist Christian Forshaw, the Raven string quartet and LSO principal trumpet Philip Cobb. 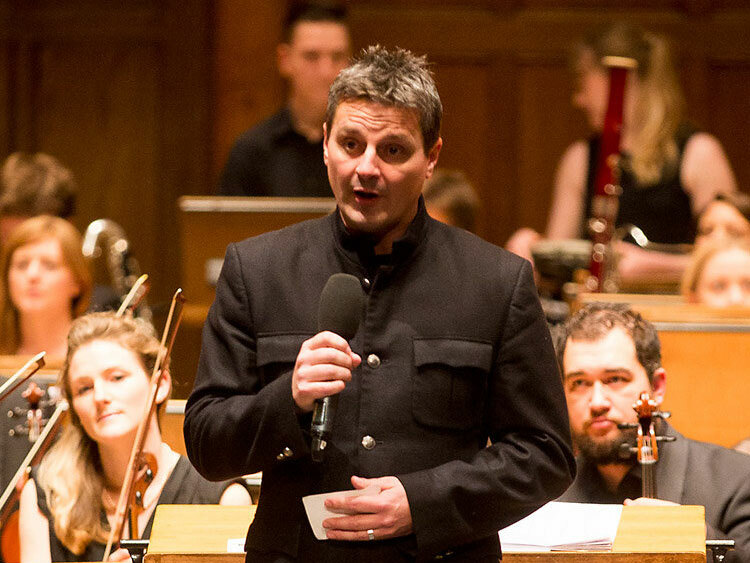 He has conducted performances with Docklands Sinfonia for BBC1 and BBC Radio3 and has also commissioned and performed dozens of works by leading British composers. He has built up an impressive portfolio of working with artists from leading organisations including the English National Ballet, Royal Opera House, London Symphony Orchestra and Scottish Chamber Orchestra. Recently, Spencer is proud to have worked with renowned songwriter and producer Mike Batt on the recording of Katie Melua's latest album 'Ketevan' and UK's 'The Voice' singer Bob Blakeley's debut album 'Performanc', both of which feature Docklands Sinfonia. Spencer is a professor at the Junior Guildhall where he heads up the brass department, teaches euphonium and conducts ensembles. Passionate about educational work, Spencer has worked as mentor for Music for Youth and has conducted members of both the London Symphony Orchestra and Scottish Chamber Orchestra in educational projects. He is also proud of his association with the Hackney Borough Youth Orchestra. Spencer has taught conducting at the Royal Academy of Music summer school and has designed the Trinity Guildhall euphonium diploma syllabus. He has appeared on Channel 5's 'Milkshake' coaching presenter Naomi Wilkinson to conduct and was a first round judge on BBC2's 'Classical Star'. Under his leadership, he established the Kew Wind Orchestra as one of Britain's leading amateur wind ensembles winning multiple national and international awards. Spencer was also founder and musical director of the Kew Music Festival and was artistic director of the British Association of Symphonic Bands and Wind Ensemble's (BASBWE) London festival. Spencer's musical career has taken him around the world and he has conducted in the UK's major concert halls including the Royal Albert Hall, Royal Festival Hall, Symphony Hall, Cadogan Hall and the Barbican. His impressive musical achievements also include appearances for BBC Radio 2, the Jo Brand Show, Channel 4's Big Breakfast, the German Orchestra Philharmonie Der Nationen and South Africa's Capetown Philharmonic. At a young age, Spencer attended the Junior Guildhall as a 'Junior Exhibitioner'. During this time he represented his country with the Young Ambassadors Brass Band of Great Britain, was principal euphonium with Southern England's leading band Redbridge Brass and played with the Young Musician's Symphony Orchestra. Spencer went on to gain an honours degree from the Guildhall School of Music and Drama, where he studied euphonium and trombone and specialised in conducting.